The only thing he has to do is to live to be 86! It appears that we might be having the first trillionaire in the history of mankind relatively soon. As Oxfam’s recent briefing paper reports, the 61-year-old Microsoft co-founder, Bill Gates, might become the world’s first trillionaire by the time he reaches his 86th birthday. And it’s all about the 11% return rate. If we take a look at the numbers, during the period from 2009 to 2016, the wealth of the world’s billionaires increased from 2.4 trillion to 5 trillion, making up the said 11% return. 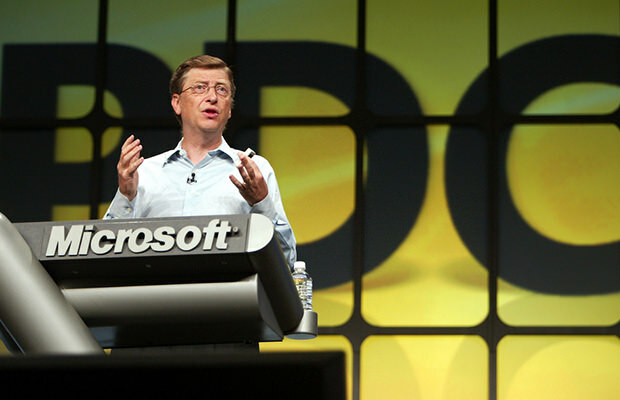 Now, the latest estimates say that Bill Gates net worth is currently over 88 billion dollars (even though he and his wife Melinda donated more than 28 billion to charity over the years), which basically means that, if his wealth continues to accumulate at the same rate of return as recent years, Bill Gates net worth should cross the 1,000,000,000,000 mark by 2042. Not a bad deal for someone who is essentially a college dropout, right? But what do these numbers and estimates mean for us mere humans? Even people with a tenuous grasp of economy know that the main problem is that one huge chunk of Earth’s money belongs only to the lucky few. It is all about the unfair divide. The folks over at Oxfam International suggest that this massive concentration of wealth at the very top may ruin the society as we know. The main problem here is that this current system of ours actually goes against meritocracy – the idea of people advancing upwards based on their individual ability and hard work. This meritocracy back-fire they are talking about mirrors in the fact that it is actually INHERITANCE that provides for one-third of the wealth for the world’s billionaires. Over the course of last 3 decades, the economy has experienced a dramatic shift in the concentration of global wealth. “Maximizing profits disproportionately boosts the incomes of the already rich while putting unnecessary pressure on workers, farmers, consumers, suppliers, communities and the environment,” say researchers over at Oxfam. They also argue that the problem is also the unfair divide between the wealthy shareholder and the average worker that is leading to the growing disparity and the so-called wealth gap. However, people still tend to elevate and revere the uber-wealthy, despite the evident frustration about the wealth gap and all the advantages received by billionaires. So, why is this the case? Yes, it appears that we simply love to love celebrities and people who are insanely rich, without any particular reason. The research also suggests that we may like or dislike a billionaire based on where their wealth comes from, while their charity related activities also influence a positive impression. This is why people tend to love and respect Bill Gates net worth, despite everything mentioned above. I mean the man gave 30 billion dollars to the less fortunate! Go Bill! You deserve it.